The Garden Spot Frame & Alignment team, from the shop floor to the front office, is the perfect blend of skill, experience, and responsiveness. With decades of combined expertise, we’ve fixed and fine-tuned every make, model, and size of truck, with a constant eye on helping our customers run efficiently and profitably. When something goes wrong, you don’t just need repairs—you need people. And to make sure you’re taken care of, each GSFA location is fully staffed with a team that includes a Service Manager, Shop Foreman, Parts Manager, Service Writer/Secretary. Our executive management team guides the company’s strategic growth. 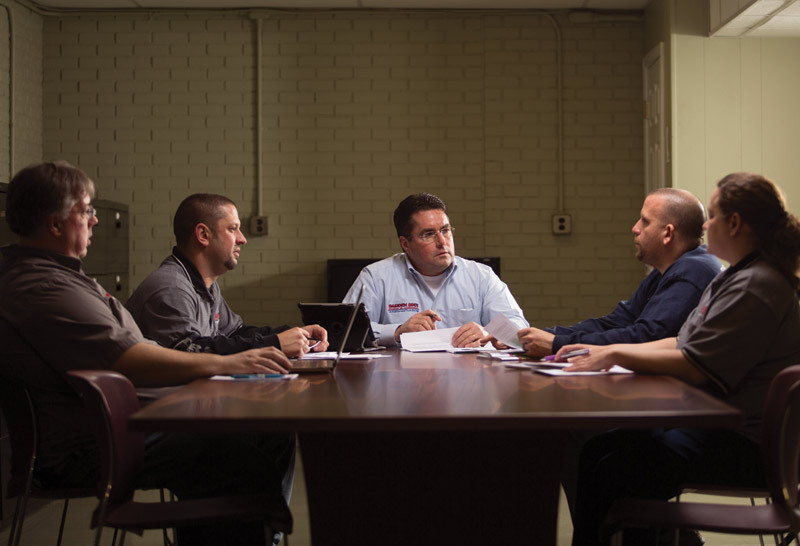 Their vision continues to uphold our leadership position in the transport equipment repair industry and sets the tone for the level of service and dependability that you’ve come to expect from GSFA. Customers who require alignment, frame work, or mechanical repairs following an accident will benefit from the wealth of experience GSFA’s staff members have with the paperwork required. They can get customers through the process of submitting estimates, dealing with insurance adjusters, and following through on approvals. Typically, the damaged truck is towed to GSFA. The frame is straightened, the chassis is aligned, any engine damage is repaired, and the air conditioning is restored to working order. The vehicle can then be driven to the body shop. The extensive warranty package provided with each GSFA repair is better than any in the industry. Our executive management team guides the company’s strategic growth. The extensive warranty package provided with each GSFA service is better than any in the industry. Some restrictions and exclusions apply. Contact us for full details..